RS232/C bidirectional port (RJ11 connector) configurable for connection with external units. PROFIBUS serial interface (DGT20PB model). 2 optoisolator photocoupler inputs: 12÷24 Vdc, 5 mA min - 20 mA max, with configurable functions. 16-bit analogue output (DGT20AN model) 4-20mA / 0-5Vdc / 0-10Vdc at choice. Maximum load applicable on the output current: 350Ohm. Minimum load applicable on the output voltage: 10kOhm. 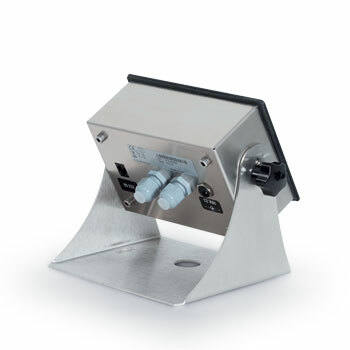 Multipurpose weight transmitter ideal for the production of bench or floor scales, dosage, filling systems etc. 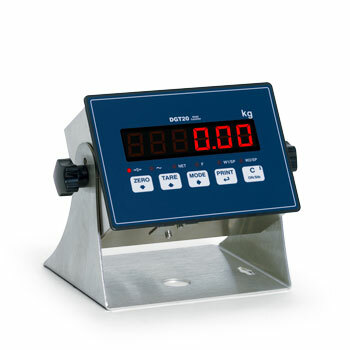 The wide range of available interfaces, makes it easy to integrate the weighing with any automation system. Frontal panel in alluminium, with protection gasket. Dimensions 170x115x68mm, fitted with support bracket (168x150mm) for table or wall mounting. From 12 Vdc to 24 Vdc power supply; 12Vdc power adapter included. DGT20 and DGT20AN models: Reading of microvolts or ADC converter for all the channels; Message display; Printing; Setting of APW in counting mode; Simulation of key pressure; MODBUS serial protocol. Specific programme for use of the indicator as a universal weight repeater or as a multi-scale repeater (MASTER) in combination with DFW/DGT/MCW. DGT20 Indicator for table/panel mounting with 2 IN and 2 OUT. Aluminium/steel case, 5-key keypad, LED display, and standard weighing programme. DGT20AN Indicator for table/panel mounting with 2 IN, 2 OUT, analogue output. Aluminium/steel case, 5-key keypad, LED display, and standard weighing programme. 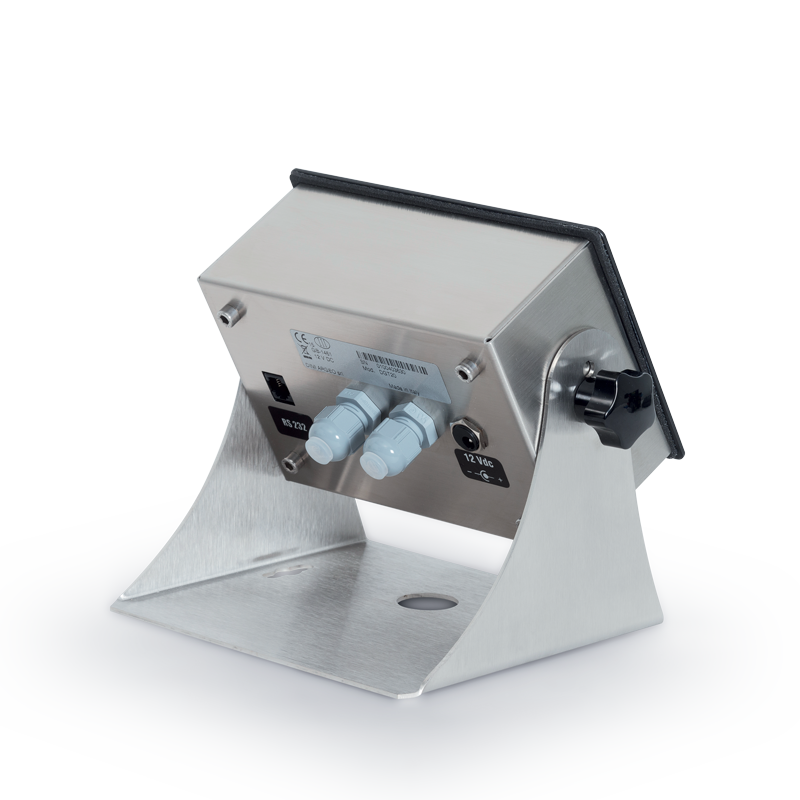 DGT20PB-1 Indicator for table/panel mounting with 2 IN, 2 OUT, Profibus. Aluminium/steel case, 5-key keypad, LED display, and standard weighing programme. DGTSTF Kit for panel installation.